Over the past few years we’ve seen a noticeable rise in our national mental health awareness. Every day we see more and more people choosing to prioritize their mental wellbeing as highly as they do their physical. From childhood in Lexington, MA to her adulthood in Nashville, TN, Elisabeth Beckwitt has battled anxiety, depression, and addiction. She’s always felt that it’s important to be open and honest about her struggles so that she can encourage others to reach out and seek the help that they might need. Elisabeth pairs her clear, powerful voice with an unapologetically supportive attitude towards her tribe and weaves them together into relatable stories with encapsulating melodies that build an intimate connection with her audience. With her 2018 debut EP “Gray Again” Elisabeth openly confronted her demons so we could all feel a little more comfortable talking about our own. Later that year she followed it up with an intimate series of live performance videos shot in her own home. "Static Sessions” gave us a look into how Elisabeth deals with the down days, some alone time with her piano and Carole, Ingrid and Sara. Both of these records were released in 2019 on a limited edition vinyl. With her newest EP, “Indigo,” Beckwitt is showing us the kind of life we can expect to find on the other side of recovery. A life where we embrace our inner strength and allow ourselves to move past whatever baggage is keeping us from moving forward in our relationships, both with others and with ourselves. The new songs will see Elisabeth take a step away from the rock n’ roll that influenced “Gray Again” and “Then We Do” to embrace her inner pop star. Long time friend and local Nashville Producer Jason “Fresh” Threm of TME was finally able to drag Beckwitt away from the piano, incorporating synths into most every track on the new record. At the end of 2018 Elisabeth founded the Sad Girl Music brand as a means to support her fellow women trying to succeed in the industry. What started as a Spotify Playlist aiming to spotlight some local talent, has grown into a community focused on celebrating the vulnerability, strength, courage, and beauty of women. Elisabeth primarily uses the brand to host “Sad Girl Nights”; the increasingly popular monthly showcase hosted at H.O.M.E. (Helping Our Music Evolve) where she can show off some of Nashville's most talented ladies. 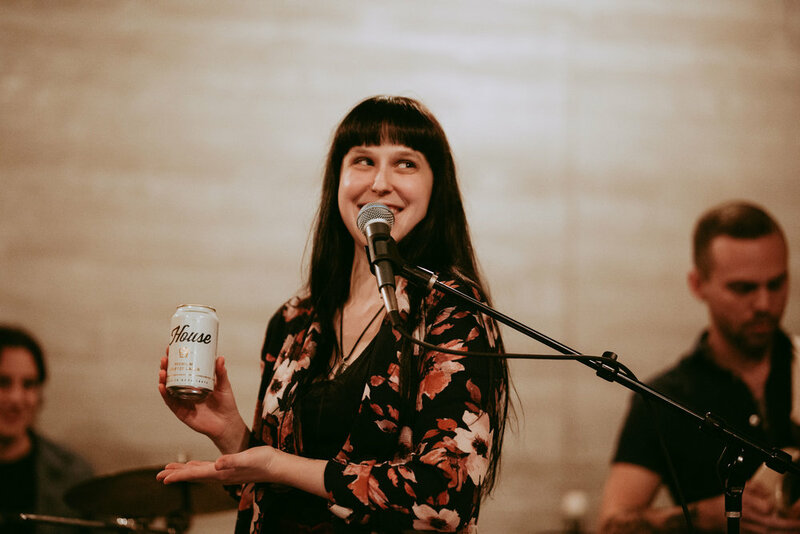 When she isn’t hosting Sad Girl Night, you can catch Elisabeth playing shows locally in Nashville and will be touring regionally throughout 2019 to promote her upcoming releases.